See also Solemn Bold by aphoria. Info: Created on 31st August 2009 . Last edited on 13th September 2009. You learn FAST!. This is gorgeous. @thalamic And from the best. @intaglio and @p2pnut Your support is always very much appreciated. I forgot to include the alternate M in the sample. It's on the ~. Maybe try the 2 with a smaller head and a steeper angle. It it turns out narrower than the rest, so be it. 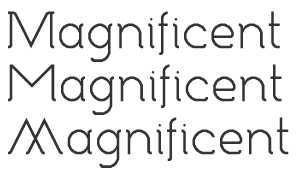 And seeing that the letters are wide anyway, the M could do with the 45degree angles. 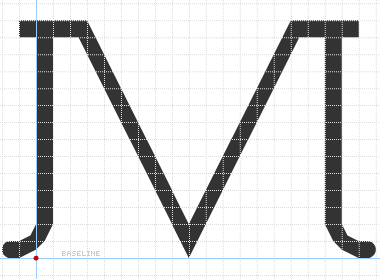 M is usually the second widest letter (W the widest...usually). I love the serenity of the whole. I'm really amazed how smooth you made it look. Must've been a lot of work. I don’t want to piss on your parade, but check out Museo. @sebastianberns Yeah, I'm very aware of Museo. After I had completed 8-9 characters, I could feel the similarity to Museo, even though I had not set out to imitate it. So, from that point forward, I was very careful to avoid looking at Museo. After I finished, I looked at Museo and compared it to mine. While there are some obvious similarities, I feel the difference is plenty large and I'm not worried about it. I changed the M and moved the old one to the `. New 2. Old 2 moved to the |. @thalamic I've used your suggestions and made a few improvements. @aphoria RE: Museo. Hey, no sweat. I find it funny, that fontstructions sometimes happen to have similarities to existing fonts, without their creators knowing. And in this case, I was wondering if you knew. Anyway, you did a good job there. @sebastianberns Sorry, I didn't mean to sound so defensive. Congratulations! FontStruct Staff have deemed your FontStruction worthy of special mention. “Solemn” is now a Top Pick. The 2 works better, methinks. Maybe try extending just the bottom bar out a brick to the right. The new M is as I suggested, but I may have led you astray. Feels off somehow. Maybe use the same steeper angles a you did before but separate the verts and diags a bit. (See Fig1). It's just to illustrate and lacks the fineness of your design. Just to give you an idea of what I mean. I think the double-A M works best. You've really done well here. And no need to say you spent time on it; the time spent working out the details is apparent enough. Say "Hi" to Mrs. Aphoria. Kudos on the amount of character in this. 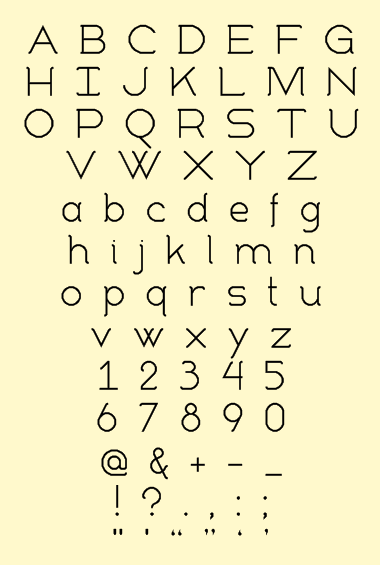 Even with all of its simplicity, this font must have taken you a long time. Solemnis a very interesting font to me, being straitforward yet intriguing. But if I may ask you to do something for me, please work a little bit more on the "J" and "K". Other than that, this font is smashing! Kudos on the amount of characters in this. 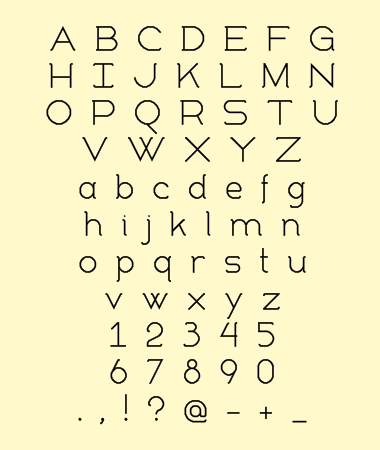 Even with all of its simplicity, this font must have taken you a long time. 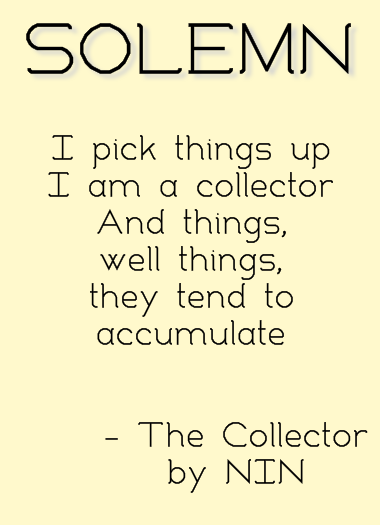 Solemn is a very interesting font to me, being straitforward yet intriguing at the same time. But if I may ask you to do something for me, please work a little bit more on the "J" and "K". 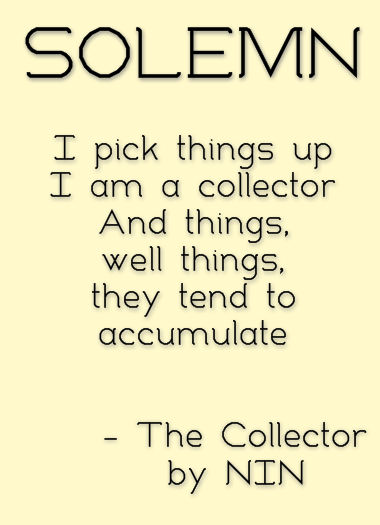 Other than that, this font is smashing! Thanks Thal for ideas...here's another variation. The name goes pretty well to it, too. m, 7, 8, 9, ? and the @ between my favorites. @aaaalllleeeexxxx The J is definitely not my fave, but I think the K works well. Do you have any specific recommendations? @cayo Thank you, much appreciated. I am pretty happy with m and @ too. I am really pleased with the c and C too. They are the first c's I've done that aren't symmetrical...or just o's with the right side cut open. @gferreira Oops...I meant to say this last night...Thanks for the Top Pick, always appreciated. First pass at an &. Great work on this one Aphoria! Tweaked the J a little bit. Updated a few characters and added a few new ones. Removed: Alternate 2 and one of the alternate M's.